David Tennant is the most powerful actor on British television. And, with two National Television awards to his credit and numerous other theatrical accolades, David has proven he's here to stay. The son of a Presbyterian minister, David was raised in the small suburban settlement of Ralston in Scotland. He appeared on screen before he was even out of school. Then, after graduating from drama school, he landed his first professional acting role in the theatrical production of The Resistible Rise of Arturo Ui. This was just the beginning of what has since become a distinguished acting career. David has appeared in several high-profile dramas for the BBC. But, undeniably, it is his energetic and eccentric portrayal of the Time Lord in cult sci-fi drama Doctor Who for which he is most famous. Fulfilling his childhood dream, David has been voted 'Best Doctor' by readers of Doctor Who Magazine and the 'coolest character' on UK television in a 2007 Radio Times survey. Also a respected classical actor, David has received rave reviews for his stage acting. As a budding young actor he held lead parts in the Royal Shakespeare Company's productions of As You Like It, Romeo and Juliet and The Comedy of Errors. Now, nearly ten years on, he has returned to his roots to take up possibly his most challenging part to date — the title role in Shakespeare's Hamlet. In this, the first ever biography of the charismatic Scottish actor, Nigel Goodall traces the events and circumstances that have shaped David's life and career so far and transformed him into a hugely influential artist, and the coolest man on television. NIGEL GOODALL has been a highly respected music and film journalist for almost 20 years with over two dozen books on the movie and pop world to his credit. He has written about some of the biggest names in show business including Elton John, Kylie Minogue, Ray Winstone, Johnny Depp and Winona Ryder, which, combined, have sold over a million copies worldwide and won him a literary prize nomination. Formerly a graphic designer with over 300 record sleeves to his name, he spent a brief spell as a pop manager, a voice-over artist and disc jockey, and was the co-producer of the syndicated 1978 Elvis Gospel radio special. Over the years he has also contributed to various album, video and television projects, including, most recently, the A&E Biography of Demi Moore. 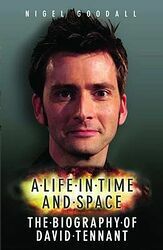 Nigel, who first wrote about Doctor Who for a school essay soon after the original series started in 1963, lives in Sussex, England, from where he travels occasionally to New York, San Francisco and Los Angeles for research and author interviews. 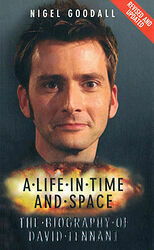 DAVID TENNANT is the most powerful actor on British television. With two National Television awards to his credit and numerous other theatrical accolades, David has proven he's here to stay. 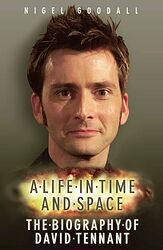 David was appearing on screen before he was even out of school and appeared in several high-profile dramas for the BBC. But, undeniably, it is his energetic and eccentric portrayal of the Time Lord in cult sci-fi drama Doctor Who for which he is most famous. 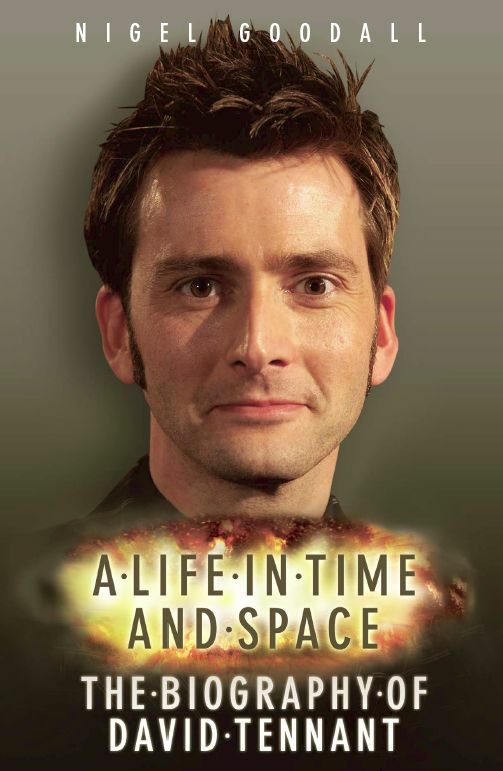 Fulfilling his childhood dream, David has been voted 'Best Doctor' by readers of Doctor Who Magazine and the 'coolest character' on UK television in a 2007 Radio Times survey. As a budding young actor, David received rave reviews for his work on stage with the Royal Shakespeare Company. Nearly ten years on, he returned to his roots and took up possibly his most challenging and successful part to date — the title role in Shakespeare's Hamlet. NIGEL GOODALL is a British-born author with over 20 books to his credit, including The Secret World of Johnny Depp and the bestselling Kylie Minogue biography, Kylie Naked. He has also written articles for magazines such as Record Collector and TV Times. He lives in Sussex, England.